Make Long Division FUN this Halloween! 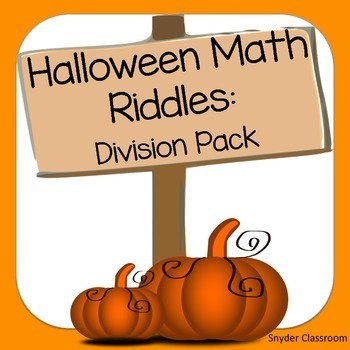 Engage your students with these Halloween long division math riddles worksheets! Students solve long division problems, each problem has a letter assigned to it and the letters help to solve the riddle. The creator of items from Snyder Classroom loves hearing her students giggle as they solve the riddle at the end of the worksheet, it is a great way to combine fun and learning! 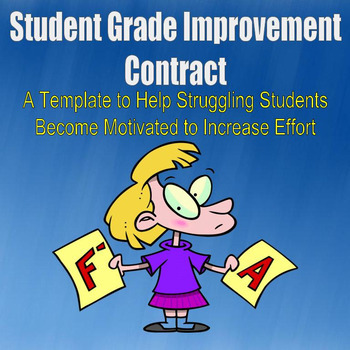 Use this template to help struggling students find motivation! It's a perfect tool to use when a student might have had poor results during the first term, but you know that he/she can perform at a much higher level. If your school uses a mathematical formula for semester final grades, there are places to check and/or add student requirements (no more days absent, ___ missing assignments, etc. ), a section for teacher requirements (reminders about the contract's requirements, etc.) and a section that provides what will happen if the requirements are met (the first term's percentage not counting as much as the next term, etc.). The file is a completely-editable .docx file that you can change to suit your needs. 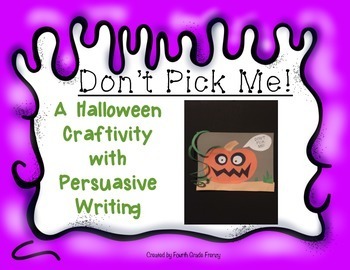 This Halloween craftivity will help students develop their persuasive writing skills while having fun! Start by explaining to your kiddos that they are in a pumpkin patch, and they have to convince you not to pick them. Kids love this assignment! 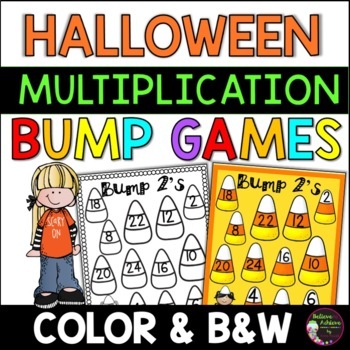 Your students will LOVE practicing those multiplication facts with these fun, colorful Halloween themed multiplication BUMP games! Anne has included the direction sheet, too! You could laminate these or put them in sheet protectors for EASY use! Enjoy! 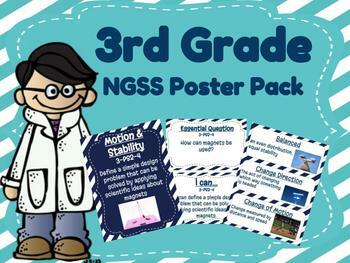 Save a ton of time by buying this pre-made poster set that cover ALL 3rd Grade NGSS Performance Expectations along with corresponding Essential Questions, "I Can" Statements and Vocabulary Word Wall Cards. These posters provide a quick and effective way to show everyone what performance expectations are being covered. The illustrations further enhance comprehension. Additionally, each unit is colored coded so you know which pieces go with which unit.